NEW YORK, Aug. 20, 2014 - Actresses perform Peking Opera "The Goddess of Heaven Scatters Flowers" during a preview for media at Lincoln Center in New York City, the United States, Aug. 20, 2014. 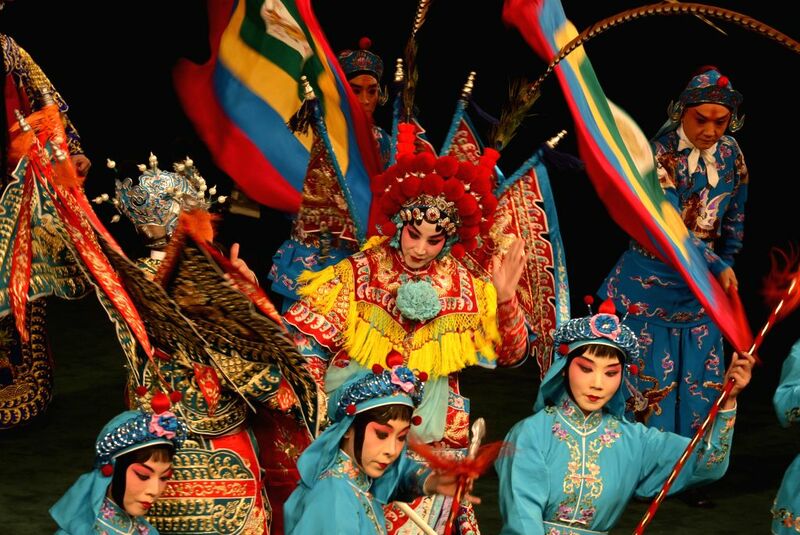 "120th Anniversary of the Mei Lanfang "project was kicked off here on Wednesday under the leadership of Mei Baojiu, son of famous Peking Opera master Mei Langfang to commemorate the 120th anniversary of Mei Lanfang and to promote the art of Peking Opera. Actress Li Hongyan (C) performs Peking Opera "Resisting Jin Troops" during a preview for media at Lincoln Center in New York City, the United States, Aug. 20, 2014. 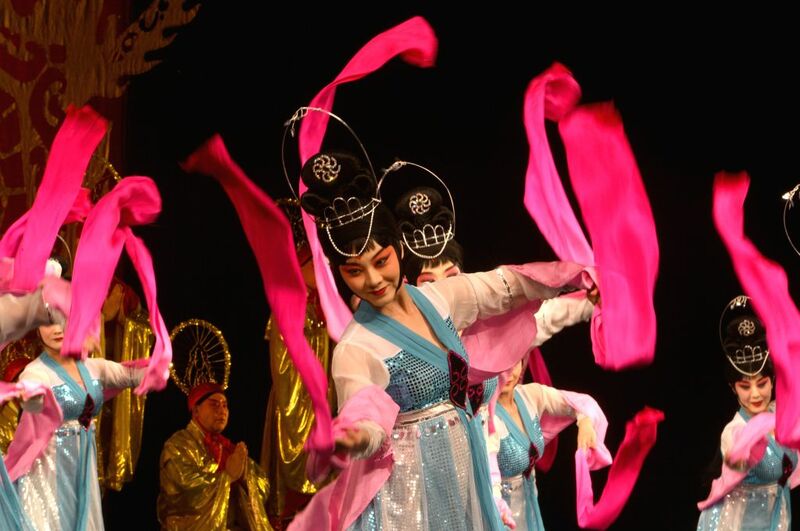 "120th Anniversary of the Mei Lanfang "project was kicked off here on Wednesday under the leadership of Mei Baojiu, son of famous Peking Opera master Mei Langfang to commemorate the 120th anniversary of Mei Lanfang and to promote the art of Peking Opera. 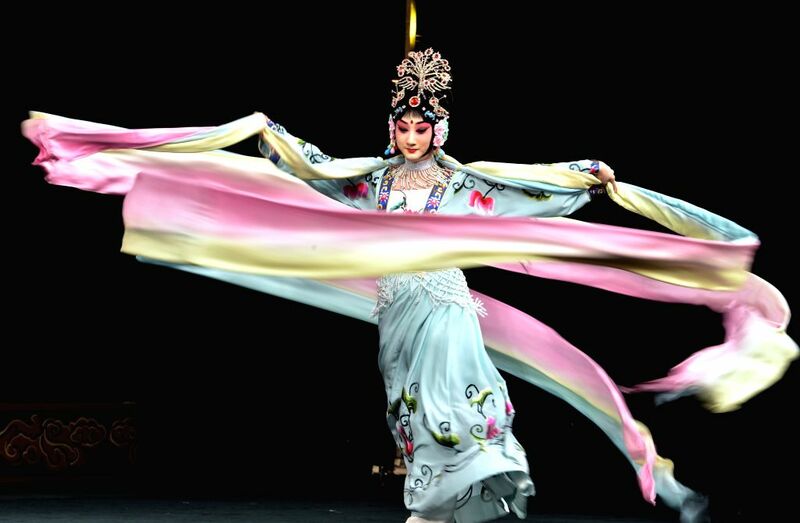 Actress Dou Xiaoxuan performs Peking Opera "The Goddess of Heaven Scatters Flowers" during a preview for media at Lincoln Center in New York City, the United States, Aug. 20, 2014. "120th Anniversary of the Mei Lanfang "project was kicked off here on Wednesday under the leadership of Mei Baojiu, son of famous Peking Opera master Mei Langfang to commemorate the 120th anniversary of Mei Lanfang and to promote the art of Peking Opera.